Almost two years later, on a cold Sunday night, one of Lenka Paris’s DJ sets plays in my car during my drive home after another long day of being kicked in the head by the sheer concept of mortality. The tears start, and I miss my exit. I’ll just take the next one. I sniffle, and it is perfectly in sync with the beginning of the next song, Human Body. After several minutes, the song ended, and Prince turned around and walked back up the stairs, leaving the entire room to create silent harmonies through their tears. When he finally returned, he played a high-energy, mind-blowing show for the next six hours. One anonymous attendee recalls feeling as though Prince needed to work through his grief that night and just get those raw emotions out of his system. Did I have any moments like that after Prince died? But, wait, aren’t life and death symbiotic? You can’t have one without the other, and you can’t fully celebrate life without the realization that death is part of that experience. I grew up learning from Prince; it was like learning a new language, and now his lessons are embedded in who I am. So why did it take me this long to realize the example he showed us about how to deal with death? Maybe I needed to be sitting in a snowy parking lot in Chanhassen on a Sunday night to realize that he didn’t just work through grief faster than the rest of us, he simply became an expert at accepting those emotions into his being. The goal of grieving isn’t to get over the loss or to avoid it; it is learning how to seamlessly morph that experience into the very fabric of your identity. Prince, I am finally moving you out of my tears, and into a permanent dwelling in my soul. Thank you. 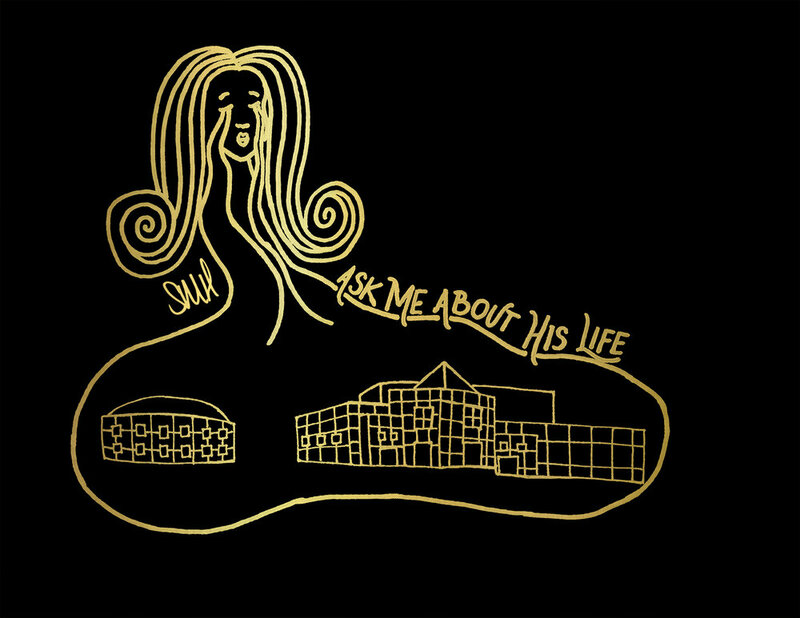 But, please, ask me about his life.